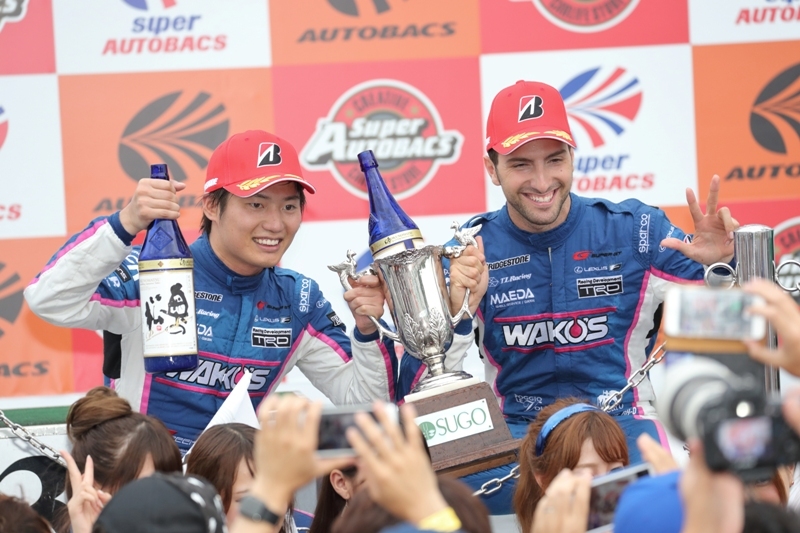 Andrea Caldarelli wins his place on the podium finishing in 3rd after a difficult race in severe weather conditions. 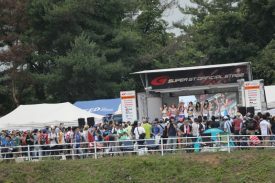 The first round of the SUPER GT Summer Triple, 2017 AUTOBACS SUPER GT Round 4 “SUGO GT 300km RACE” was held on the base of the imposing mountain ranges of Zao in Sportsland SUGO (Miyagi prefecture, Japan) on the 22nd and 23rd of July. 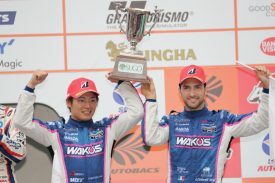 LEXUS TEAM LEMANS WAKO’S and its drivers Andrea Caldarelli and Kazuya Oshima duo won pole position last year in this exact circuit. 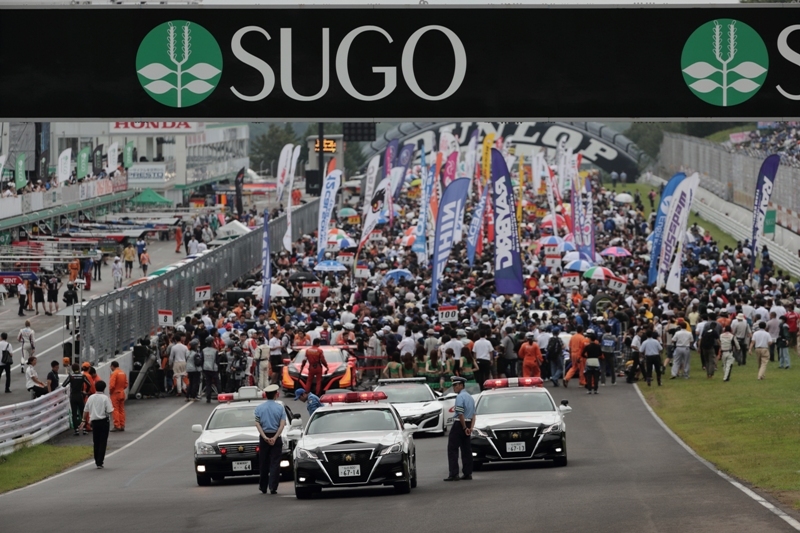 Expectation for a first-place finish was held high going into the race, as SUGO circuit was proven to be their specialty. 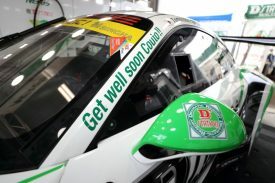 Unfortunately, GRM driver Andrea Couto was injured in an accident while racing in the China GT Championship which took place in Zhuhai Circuit in China, on July 8th. He will be absent for this round and the next round in Fuji to commit to his treatment for recovery. 15 cars of the GT500 class, 28 cars of the GT300 class participated in this session, and LEXUS TEAM WAKO’S first sent Kazuya Oshima on the WAKO’S 4CR LC500 (No.6) to check the machine performance. 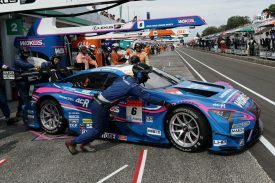 Andrea Caldarelli then took the wheel to make final adjustments anticipating the qualifying round in the afternoon and the race on Sunday. 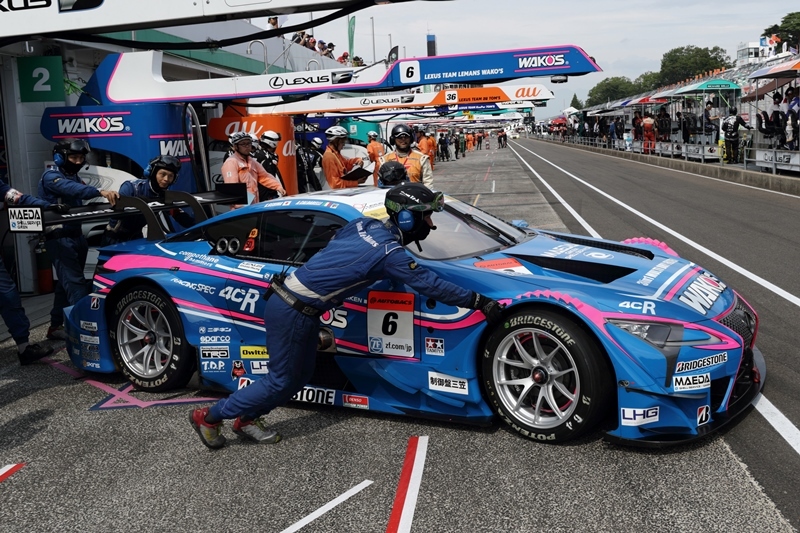 In the final 10 minutes of the session in which only GT 500 cars occupied the course, Andrea executed speed runs on new tires, his best track record marking 1’12.394. WAKO’S 4CR LC500 exhibited its excellent condition through its performance. 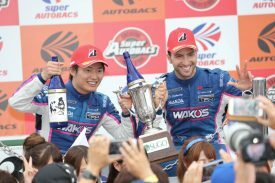 The event then proceeded to the 1st qualifying session (GT500 Q1: 14:36-14:51 outside temperature 29℃ / track temperature 36℃). 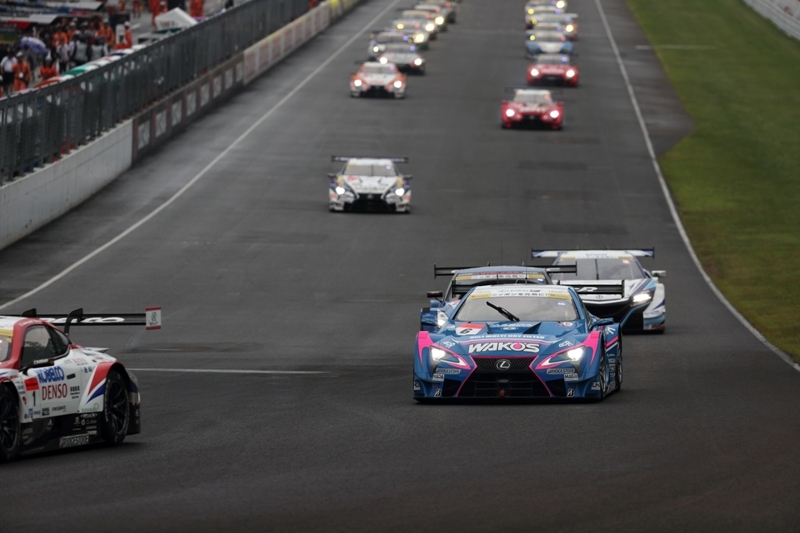 Although the tracks were met with sprinkles of rain at the beginning of the Q1 session for the GT300 class, it remained in dry condition, and the appointed attacker for Q1, Andrea Caldarelli, recorded 1’12.163 good for P8, and advanced to Q2. In Q2 (15:30-15:42) Kazuya Oshima pushed to his best. 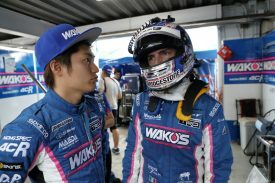 However, he could not outrun competition and WAKO’S 4CR LC500 finished the qualifying session in P8 (1’12.163). The race day was unfortunately met with light rain. 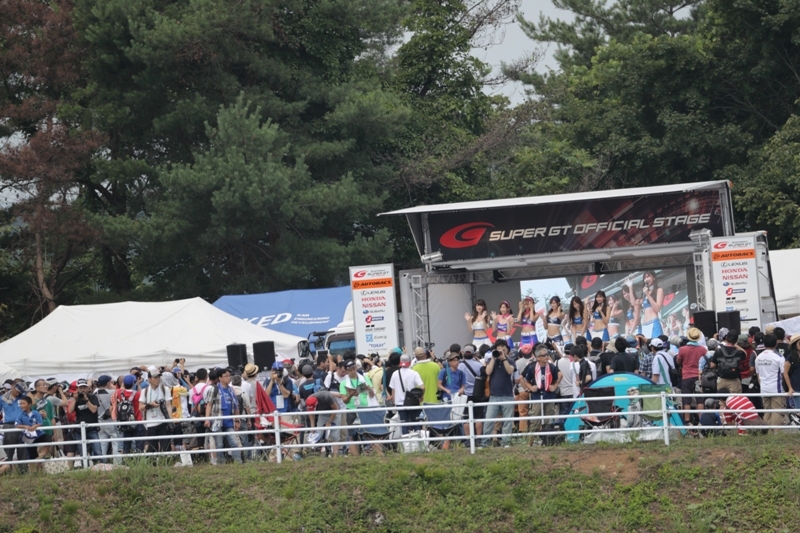 Still, many SUPER GT fans gathered in Sportsland SUGO from the morning to participate in fan service events promoting the attractiveness of SUPER GT such as pit-walk, driver talk shows, and driver introductions, and the circuit was filled with smiles and joy. Even though there was no heavy rain, worrisome conditions continued as the rain went on and off until time was 2:30 in the afternoon. 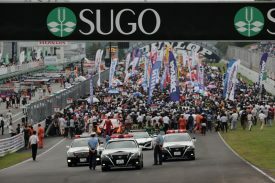 As thin rain continued to pour on the tracks, the parade-run and formation lap was carried out in wet condition (outside temperature 25℃ / track temperature 27℃), and the 45 car race (81 Laps) was off to a start. Andrea Caldarelli, starting from P8 on the WAKO’S 4CR LC500, performed a strong start and pushed up to P6 on the 2nd lap. After the safety car (SC) was introduced into the race following an accident involving a GT300 class car, rain seemed to pour harder, and Andrea made his way up to P5 when a car spun off course on lap 17. Andrea, eager for the opportunity for another overtake, improved his position to P3 on lap 30 when rain stopped and the tracks partially started drying. 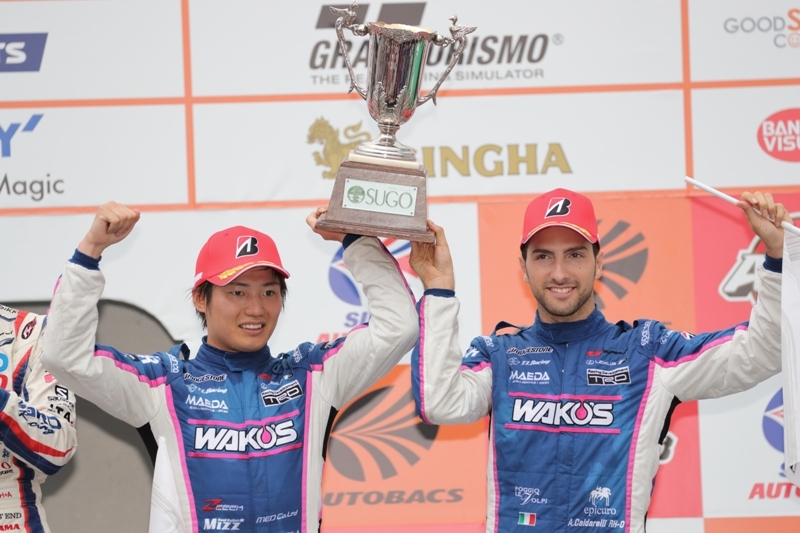 To make the best of the rain tires, WAKO’S car No.6 raced patiently tracing parts of the track which were still wet, and the strategy was proved effective as car No.6 was in P3 by the 40th lap! Andrea made his way back to the pit after the 2nd SC run ended. The WAKO’S 4CR LC500, changed to slick tires, was then passed on to Kazuya Oshima. Right as he rolled on the course, a 3rd SC run was initiated following an accident, and the top two cars changed places, with car No.6 still keeping its position in P3. 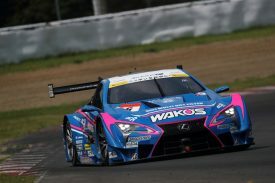 Oshima raced all out, keeping his position until the checkered flag, finishing the race on the podium in 3rd place for LEXUS TEAM WAKO’S! The team also leaped to first place in the series ranking, with 41 points. 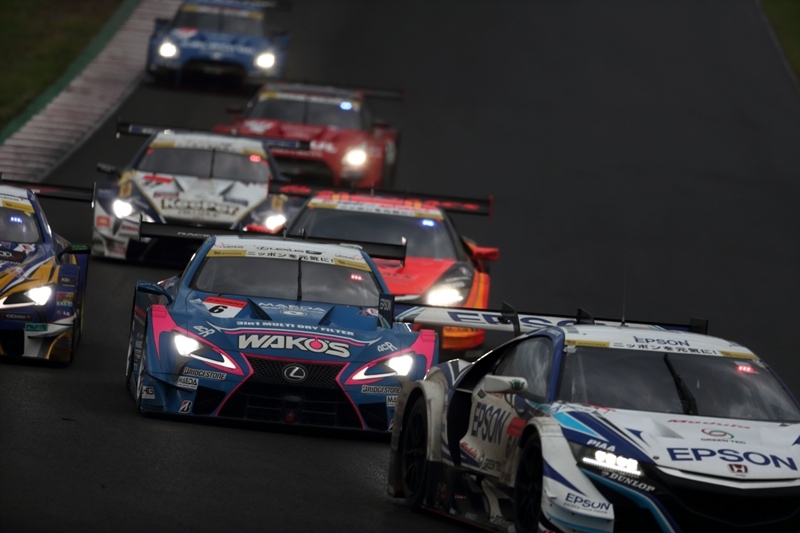 The next AUTOBACS SUPER GT Round 5 of this season will be staged at Fuji Speedway over August 5th and 6th.